Starbucks will open its first Signing Store in the U.S. in Washington, D.C. this October, building upon ongoing efforts to connect with the diverse communities it serves. 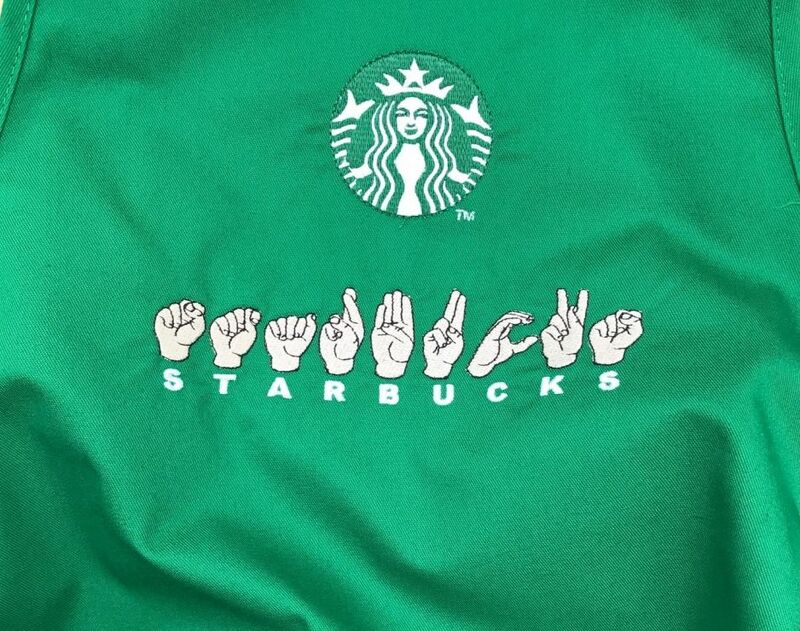 A team of Deaf Starbucks partners (employees) and allies led the effort to launch this unique store model in the U.S., which will be located at 6th & H Street near Gallaudet University, a bustling hub that is Deaf-friendly. The store will create a distinctive retail experience for all customers, while offering a unique store format that promotes accessibility and offers employment and career advancement opportunities for Deaf and hard of hearing people. Starbucks will hire 20-25 Deaf, hard of hearing and hearing partners from across the country to work at the Signing Store with a requirement that all be proficient in American Sign Language (ASL). This team of partners with a shared language of ASL and diverse experiences with the Deaf and hard of hearing community will help to attract and develop talent, as well as raise awareness and understanding of the Deaf experience in the workforce, including career opportunities at Starbucks and beyond. The idea to open a Signing Store in the U.S. was inspired by a similar Starbucks Signing Store which opened in Kuala Lumpur, Malaysia in 2016 with nine Deaf partners. Starbucks partners in the U.S. voiced the opportunity to create a similar third-place experience for the Deaf and hard of hearing community in the U.S., and traveled to Malaysia last July for the first-year anniversary to understand design modifications and gain knowledge to create the best possible store experience for Deaf and hard of hearing customers in the U.S. An internal team made up of Starbucks Deaf Leadership, Accessibility office and Access Alliance is playing a critical role to support this historic store opening. The store will feature exclusive artwork and a custom mug designed by a Deaf artist, and a variety of enhancements to support the Deaf and hard of hearing partner and customer experience. Deaf baristas will have ASL aprons embroidered by a Deaf supplier, and hearing partners who sign will have an “I Sign” pin. These initiatives were created and sponsored by the Deaf Leadership of the Starbucks Access Alliance. The store will also incorporate aspects of Deaf Space, including an open environment for communication and low glare reflective surfaces. For customers new to sign language, the store will offer communication options for ordering and receiving beverages at the hand-off counter. Starbucks has a long history of engaging and creating opportunities for Deaf and hard of hearing people as part of its ongoing commitment to disability inclusion and accessibility. To learn more, visit: Starbucks Commitment to Access and Disabilty Inclusion. The Signing Store will be located at 6th and H and is scheduled to open in early October. To learn more, visit news.starbucks.com.